Stuck for ideas for Halloween in Carmarthenshire? I have resisted Halloween for years and years but this holiday is getting pretty hard to ignore! All of the explanations as to why we shouldn’t mark the end of October this way has fallen on deaf ears and pester power has seen me give in. But it doesn’t stop there, now it seems it isn’t just the children getting involved we have to dress up to! Scoop out the inside of a pumpkin and carve a spooky face in to the front! Meanwhile cook lots of spaghetti with a couple of drops of red food colouring. Drain the pink pasta and allow to cool. Add a drizzle of cooking oil, no need to use the extra pressed virgin stuff here. Open up a bag of fun size sweets, treats or lollies. Scoop sloppy spaghetti in to the pumpkin head, hiding the sweeties in the process. 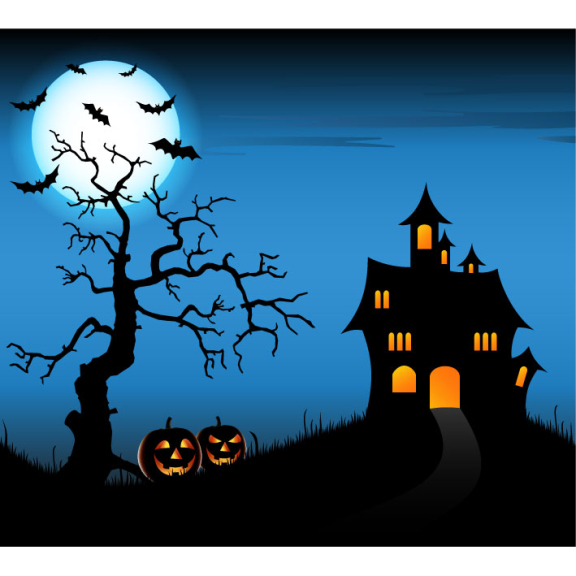 Enjoy the children bravely and squeamishly rummaging for sweets through Jack O Lanterns brains! If you are in charge of trick or treaters take some extra clothes to keep warm - and a torch. Ideally, get the children to wear glow in the dark wrist bands, so that they can be seen by traffic, Halloween costumes tend to be very dark. Stand back and enjoy the giggling, and the odd sweet that may head your way!